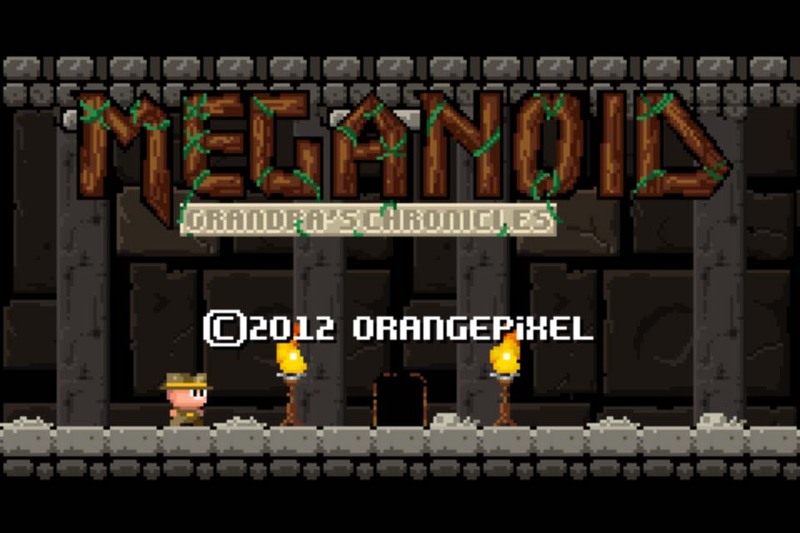 10 word description: Meganoid sequel. 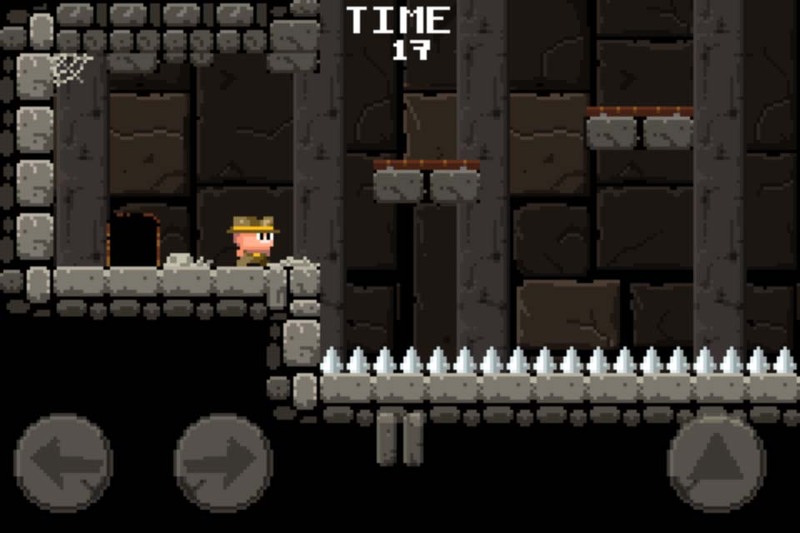 Retro styled, short level platformer. “It’s not easy”. 10 word review: Tough, frequently frustrating, but well designed fun for masochist gamers. 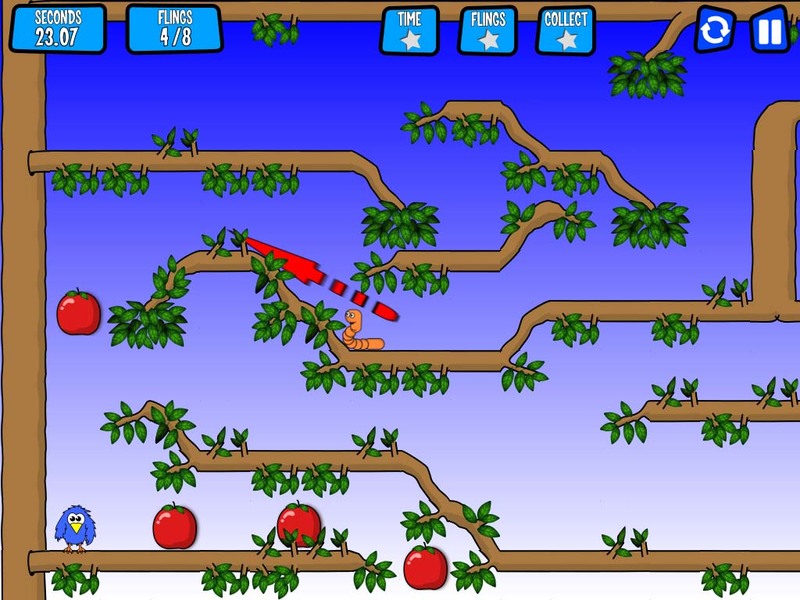 You will like this if you enjoy: “Million death” platform games. League of Evil. Super Meat Boy. It also looks a bit like Rick Dangerous. 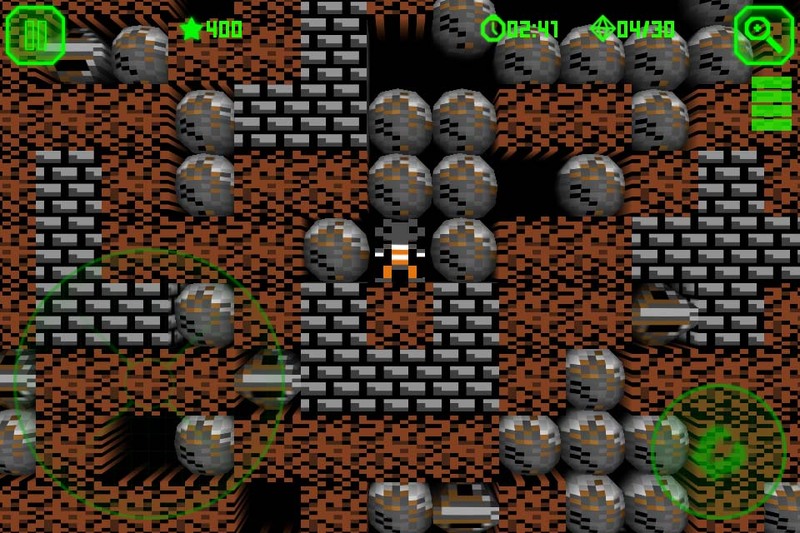 The good news: The retro style graphics, although hardly a new direction for iOS platform games, are rather nice. Music and sounds are also decent. 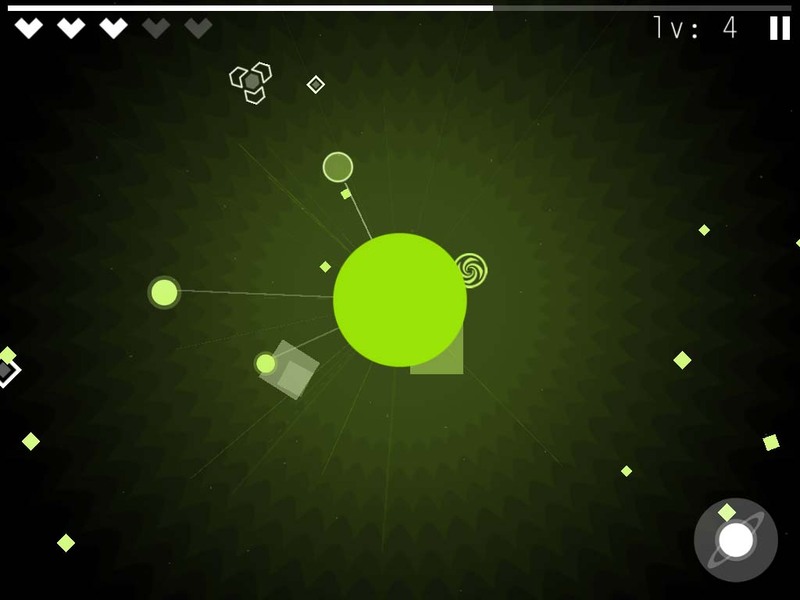 Controls are reliable, responsive, and you can reposition the buttons. 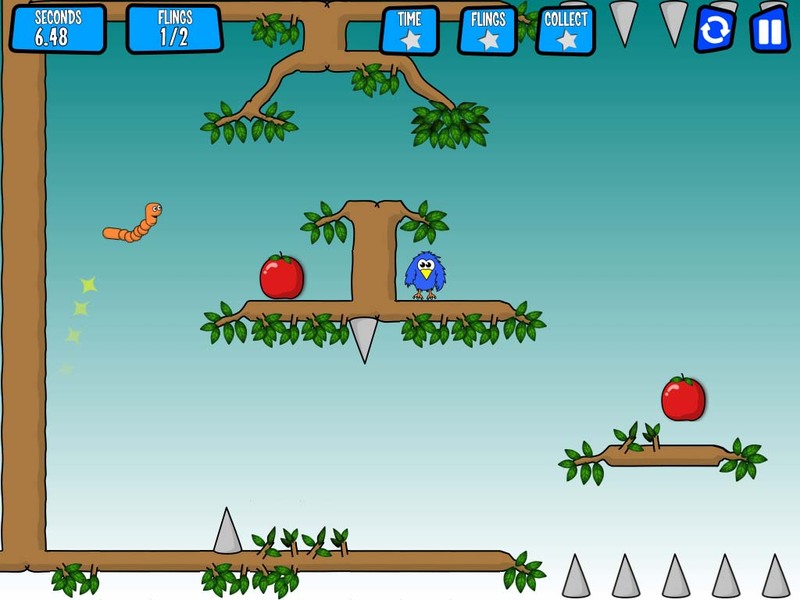 Levels are fun with plenty of platforming standards (ok, clichés) such as spike pits, spiders, arrows and snakes. The bad news: It’s going to be too frustrating for some people, because that’s the kind of game it is; I lost count of the number of tries it took me to get past level 20. 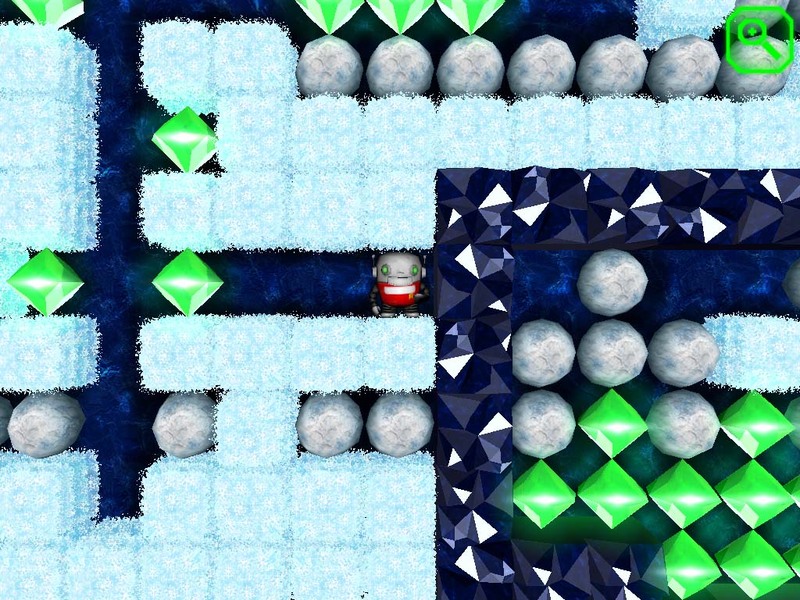 Others may find the very short levels unsatisfying because, once you nail a level, it’s often over in about 10 seconds. Arcadelife verdict: Evoking memories of Rick Dangerous, Meganoid 2 has gone for a more focussed theme than its predecessor and I feel that this works in its favour. 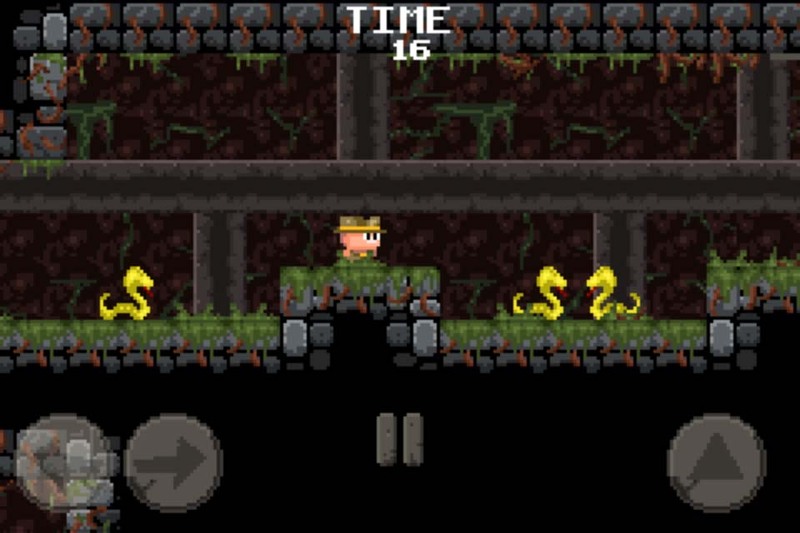 If you are unfamiliar with Rick Dangerous, just think of Indiana Jones taking on a series of death-defying challenges devised by a very angry Yoda and you’ll be somewhere close to what this game is all about. 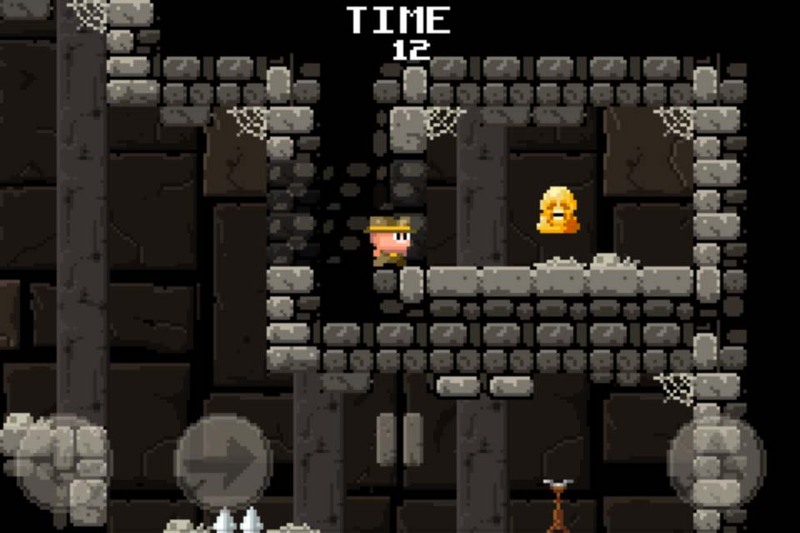 10 word description: Classic action-puzzler, 100+ caves, 5 game modes, Game Center. 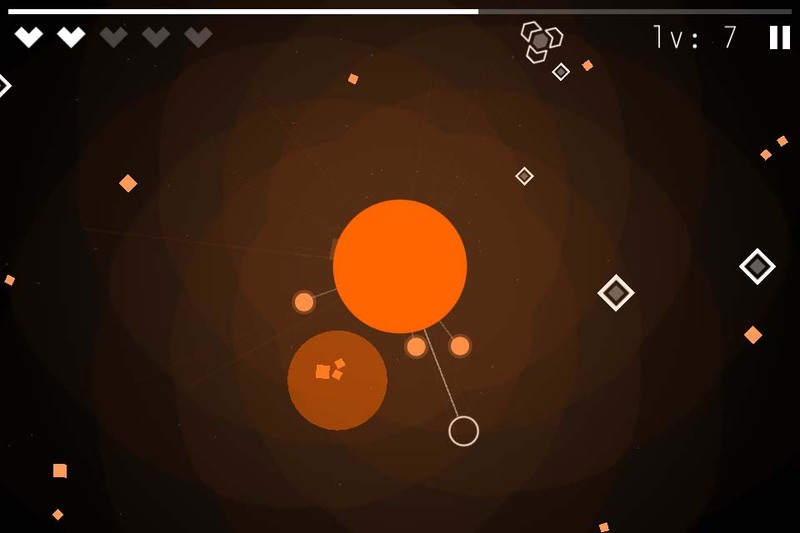 10 word review: Impressive, polished touch-screen update of the addictive original game. 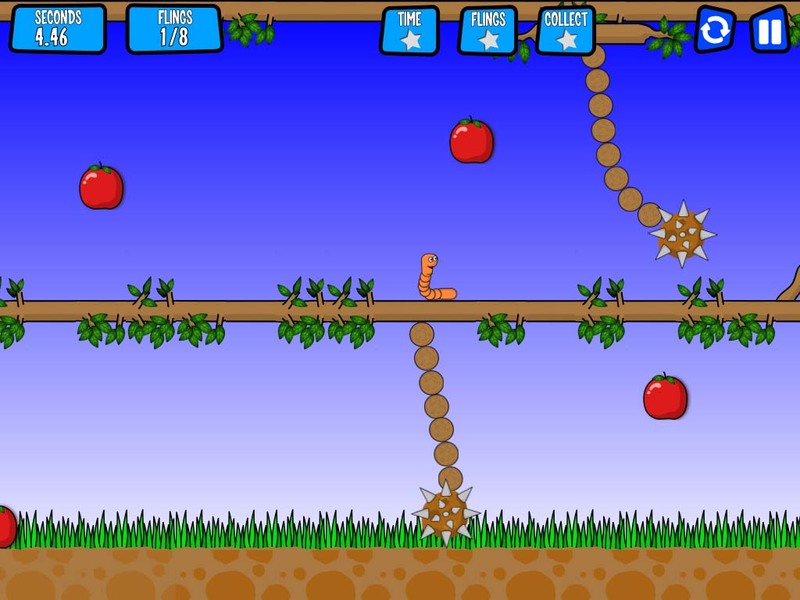 You will like this if you enjoy: Action maze games. Dig Dug / Mr Do style games. 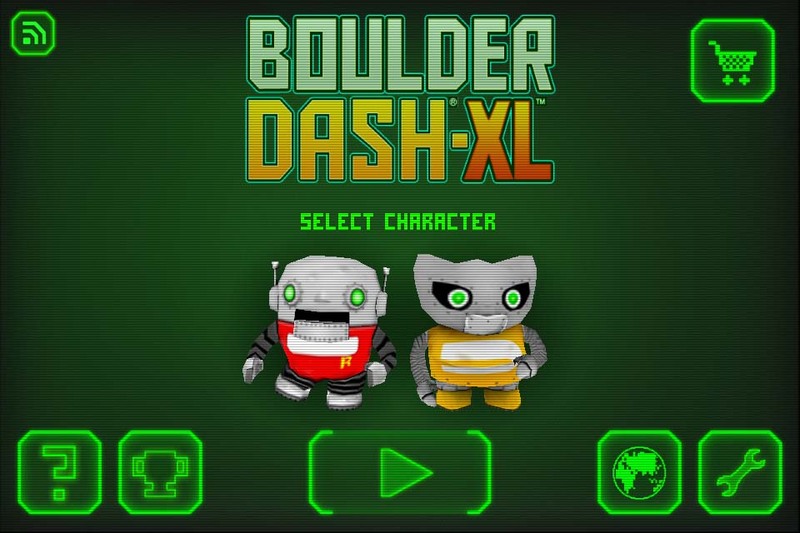 Boulder Dash, fairly obviously. 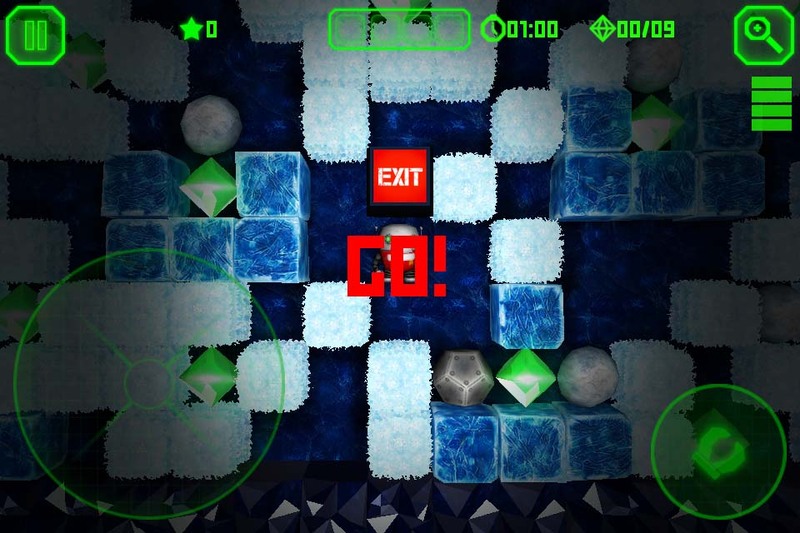 The good news: Plenty of content spread across a lot of levels and 5 different modes. Graphics are decent, although I actually prefer the retro ones to the enhanced/updated version. Still a playable and addictive game; stands up well against similar modern games that arguably owe this one a fair amount of credit. No IAPs. Controls work well. 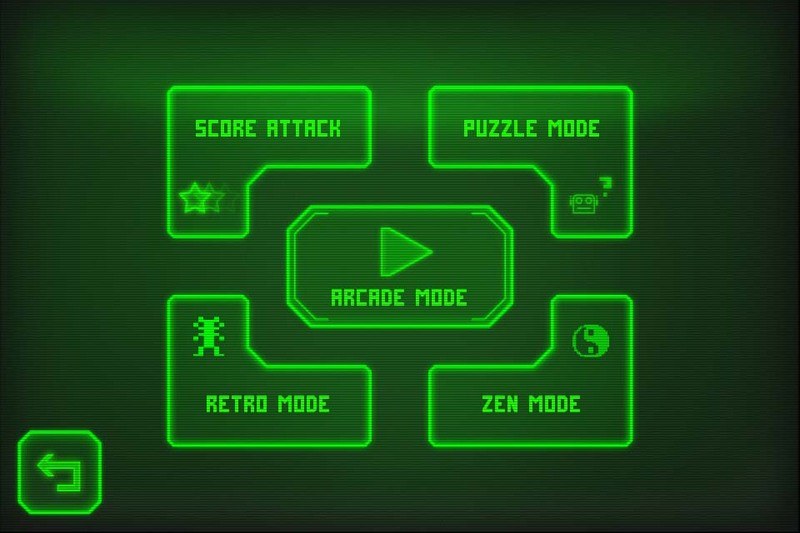 The bad news: Personally, I prefer the retro graphics and would like the option to enable them in all modes, not just the mode with the retro levels. For some reason, I couldn’t get the game to play any music or sounds. That’s odd, might just be an issue on my test devices. Note – I can’t judge the sound so it doesn’t get a rating. This does not affect the overall score. Arcadelife verdict: I was pleasantly surprised that this game didn’t feel like an ageing embarrassment. It works well as a touch-screen game and the digging/dodging gameplay, although not exactly fresh, is enjoyable and addictive. Although my initial reaction to the controls was oh great, a huge green D-pad, the controls work well and I didn’t have any problem with them. As for the graphics, I’d love to be able to opt for the retro scheme in all game modes. I don’t really like the new player characters; the rest of the retro graphics are perfectly appropriate for the game and don’t really need to be jazzed up just for the sake of it. 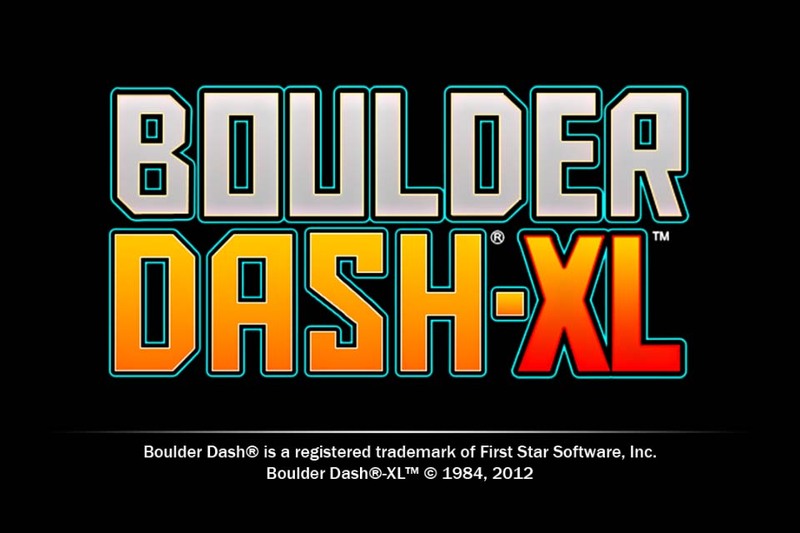 Overall, Boulder Dash XL is a good remake and also a decent iOS game in its own right, without having to rely on nostalgia for its playability. And, no IAPs – yay! The store icon (top right in the pic below) gives you a list of other games from the publisher, not IAPs – just in case you were wondering. 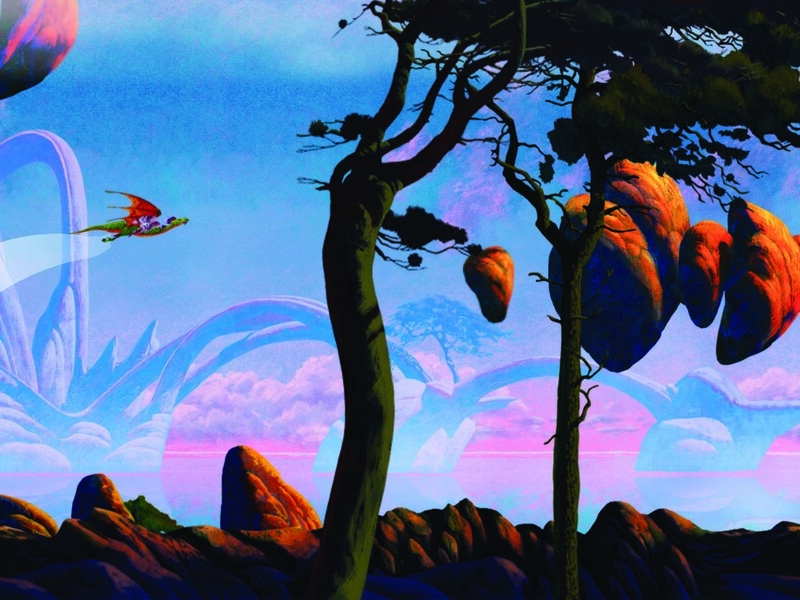 10 word description: One-touch Dragon flight featuring Roger Dean’s artwork and creativity. 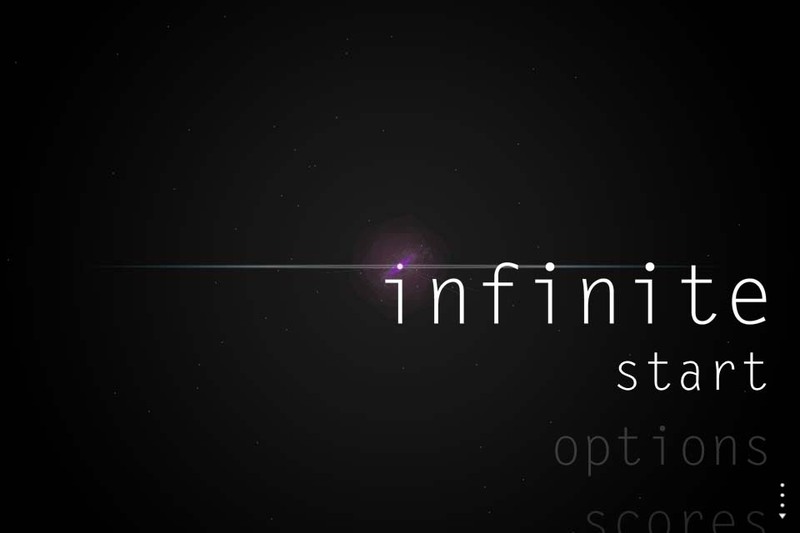 10 word review: Stunning looks and a sublime gaming experience. And no IAPs! 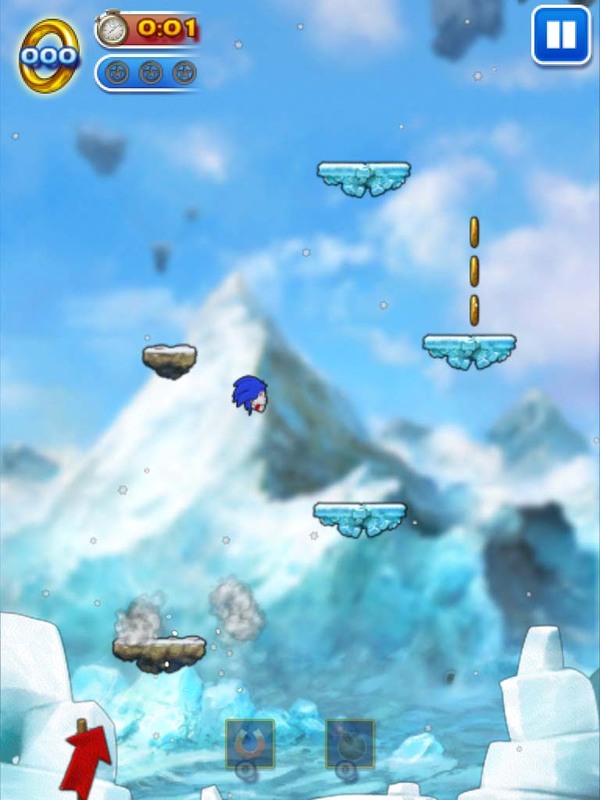 You will like this if you enjoy: Endless runners/fliers, although that’s only one aspect of this game. Games that look so good you’re more than happy to be seen playing them in public. The good news: The visuals are the obvious highlight, featuring Roger Dean’s work throughout the game graphics, menus and pretty much everything you see on any screen. Music and sounds, including ambient spot-effects accompanying every menu selection and screen transition are appropriately cool and of a high quality. 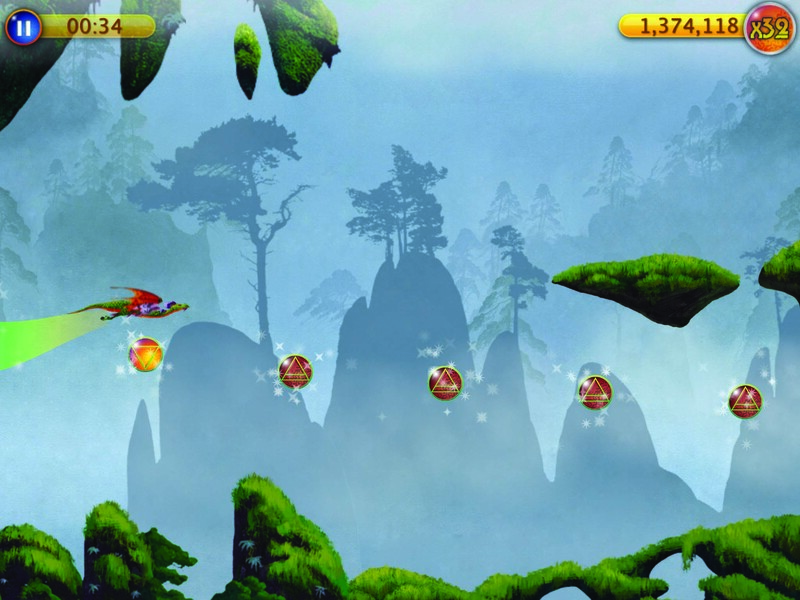 Controls and gameplay are spot on, with a very convincing dragon and two addictive game modes. The bad news: Although I don’t have any problems with the game, it would have been nice to see more done with the achievements/objectives, and maybe we could have had an unlockable special dragon – I’d like a shiny black one – for getting an A rating in arcade more, or for performing some other heroic feat. Arcadelife verdict: Although, on release, this is going to be priced a couple of rungs above tier 1, it is classy enough to justify the pricing and has a deceptive depth to the initially fairly basic gameplay. I dropped most of the other iOS games I have on the go just to play this and I put in enough time to top all four leaderboard; ok, admittedly there were hardly any other players on there as the game wasn’t officially released at the time! 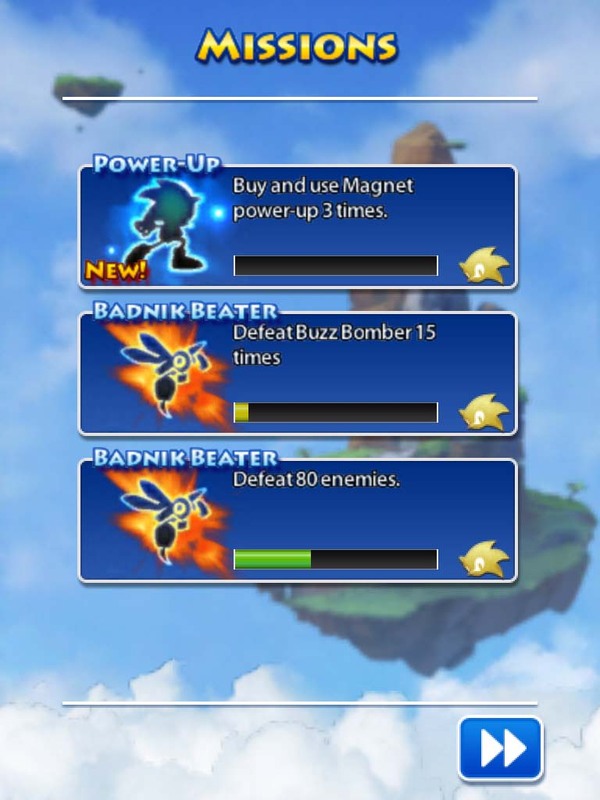 Arcade mode gives you two minutes to fly as far as you can and collect as many orbs as possible. You can crash an unlimited number of times but that won’t help your score. 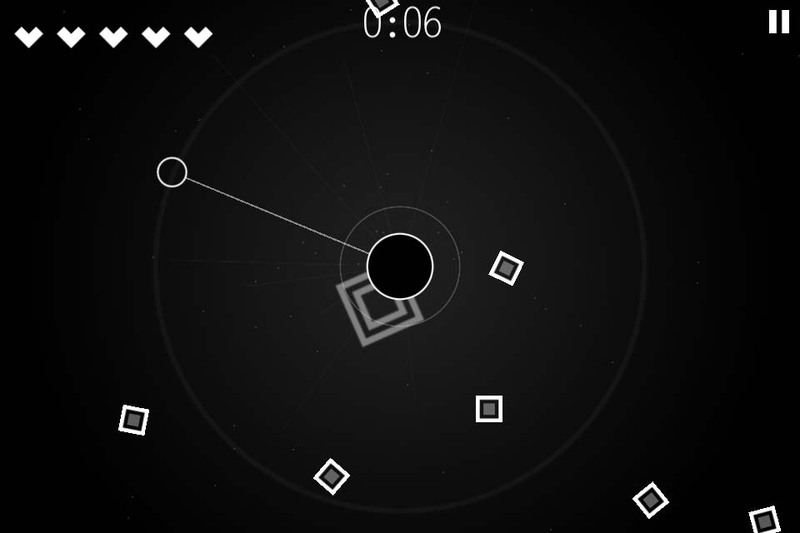 Free Fly mode is an endless flight that terminates with your first crash. Points are scored here through a combination of distance and the number of flying wisps that you manage to catch. The Visualizer mode works like a screensaver; you just sit back and watch the dragon fly forever, or until you are sufficiently relaxed and decide to go back to playing the game yourself. 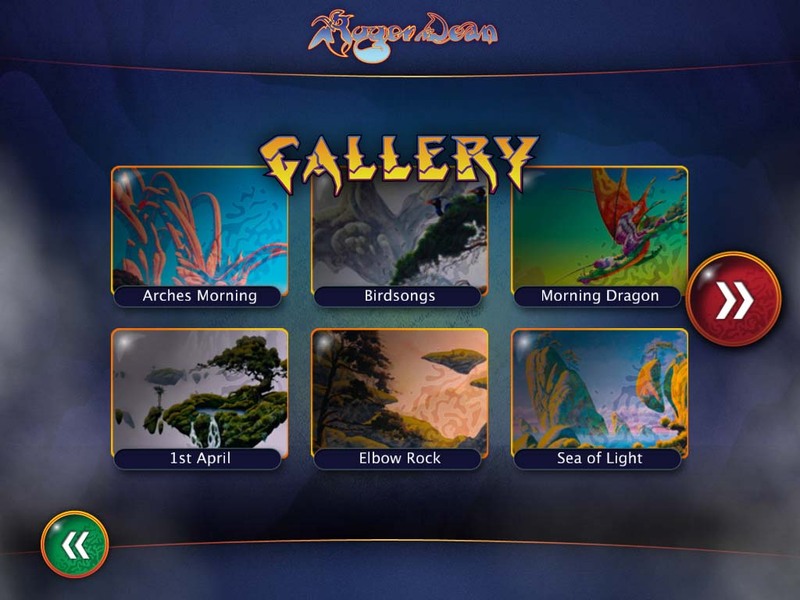 The two game modes, the visualizer and two different environments are available right from the start, with a gallery of artwork unlocking as you rack up achievements. 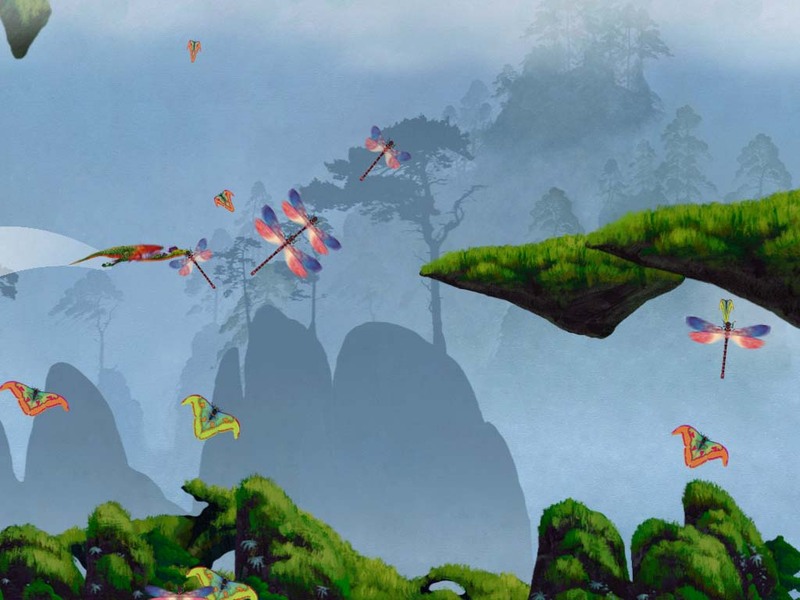 Overall, Dragons Dream is a gorgeous looking, very polished and addictive game. High quality and highly recommended. 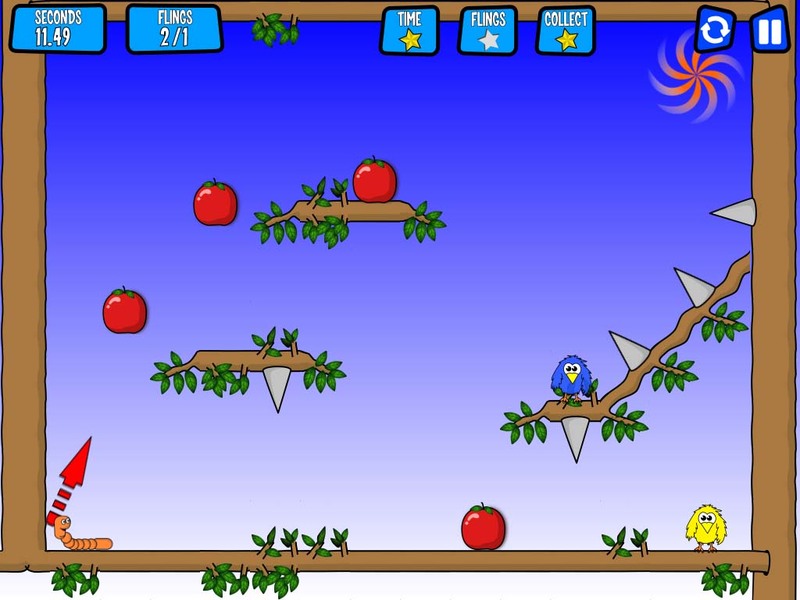 You will like this if you enjoy: Vertical, tilt-to-control, jumping games. 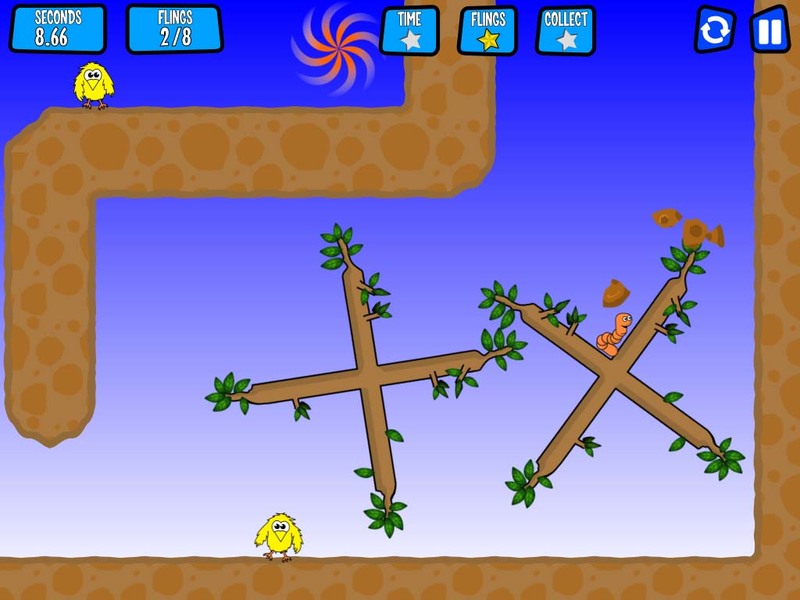 A similar one, that takes a retro game from a different format and turns it into one of these games is the rather more entertaining (in my opinion) and certainly more trippy Pac’n-Jump from Namco. 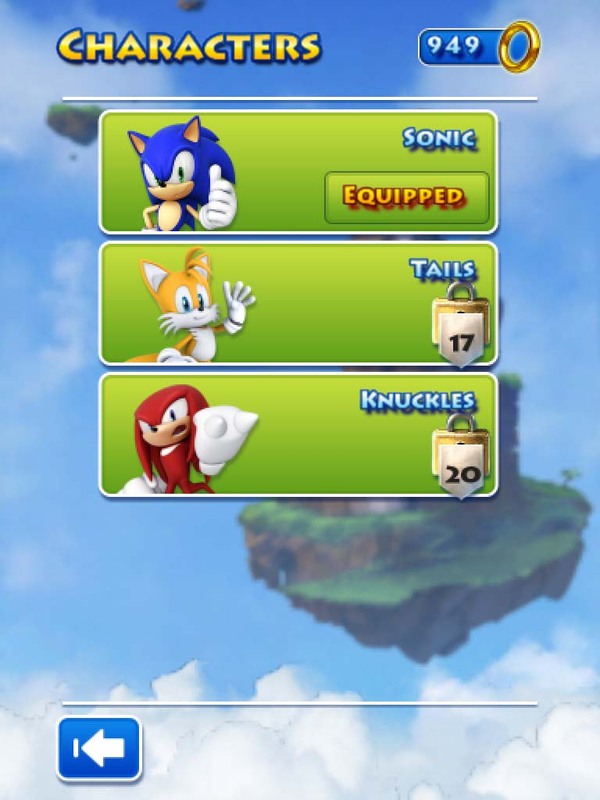 The good news: It does genuinely succeed at turning the Sonic universe on its side, sort of, with the majority of familiar elements and enemies from the original games present and correct. 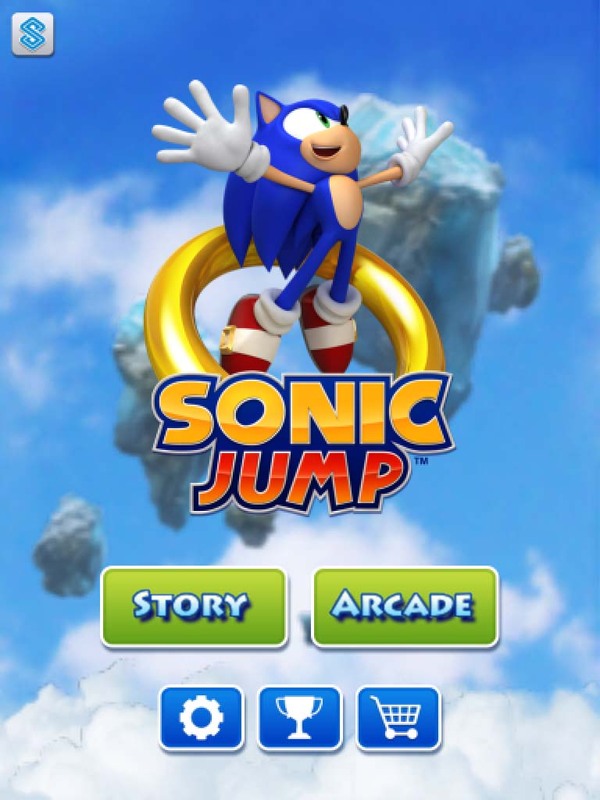 Graphics and sounds are good, controls work as expected, story and endless modes provide a fair amount of content. 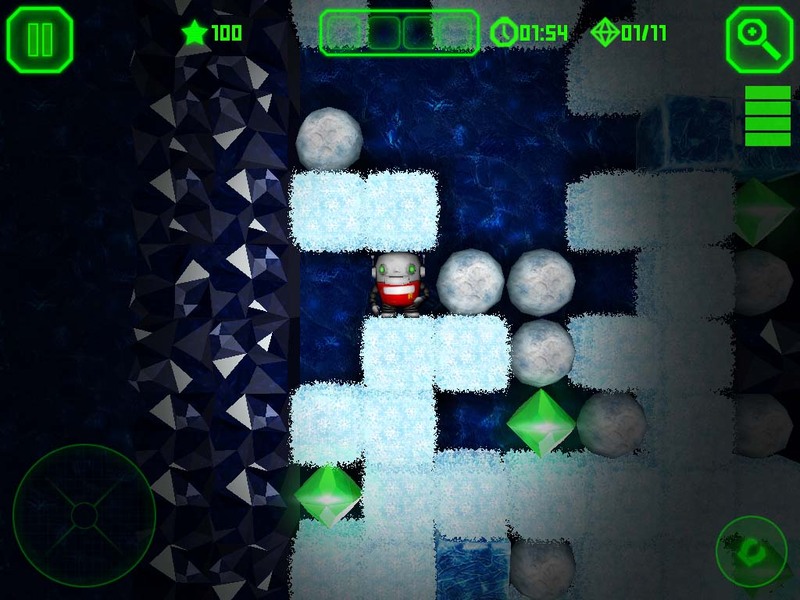 The bad news: The challenge starts to approach frustration during the second world, with the game continually prompting you to use consumable power-ups that, of course, can be accumulated far easier if you spend lots and lots of real money on IAP currency. Just say no. Personally, I don’t like playing tilt control games on my iPad. An alternative slider control (preferably invisible) on one of the bottom corners would be a nice option. 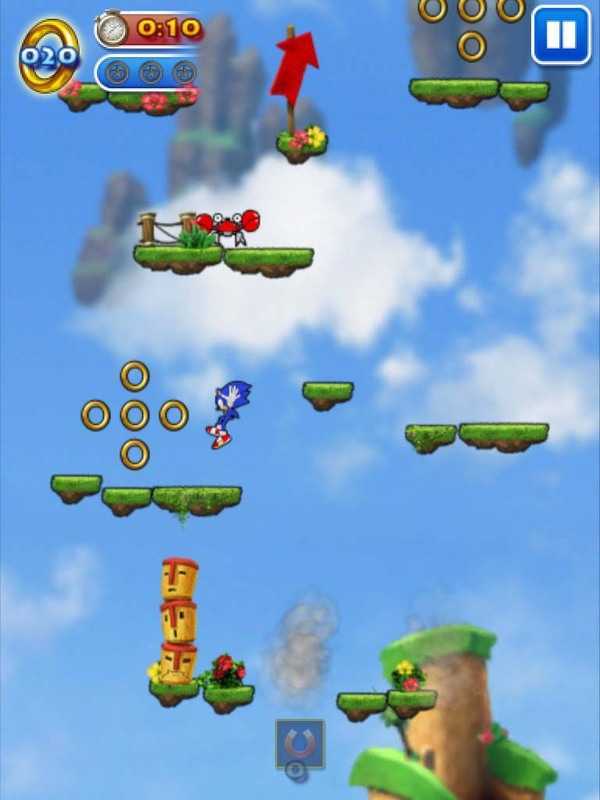 Arcadelife verdict: Sonic Jump isn’t a bad game, but the emphasis on IAPs (and the game’s constant pop-ups encouraging you to use consumable power-ups) doesn’t do anything to make it feel like the best game ever. Graphically, it’s very nice. Although I don’t like using tilt controls on my iPad, the controls do work and all I can criticise is the lack of a touch control option. 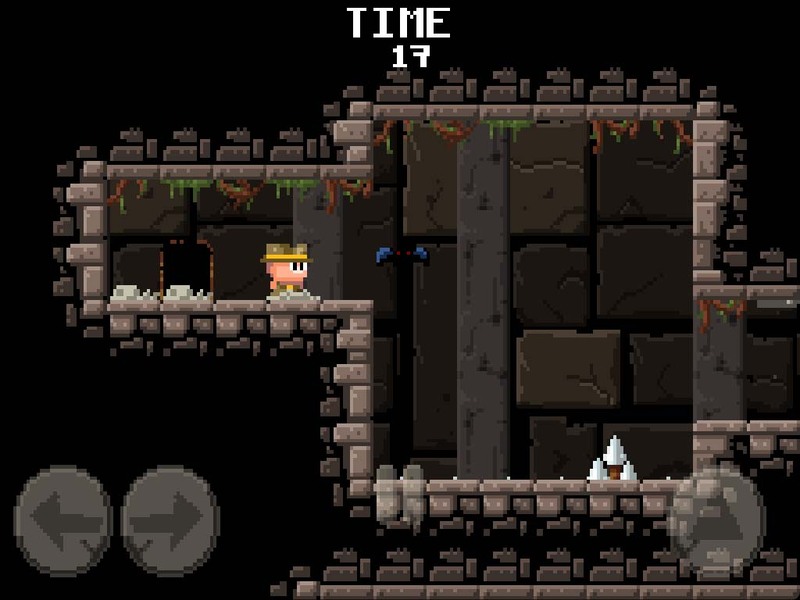 Levels are challenging and the first boss fight (I’ve only seen the first one) is fun and also quite easy. 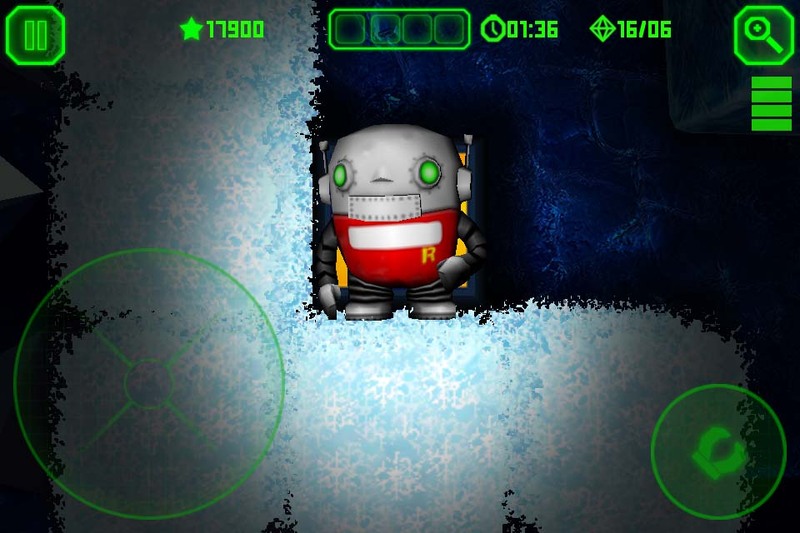 The missions – there are always 3 active, which has become the norm for this type of endless game these days – are generally unimaginative and include objectives such as “Use consumable power-up X a certain number of times”. 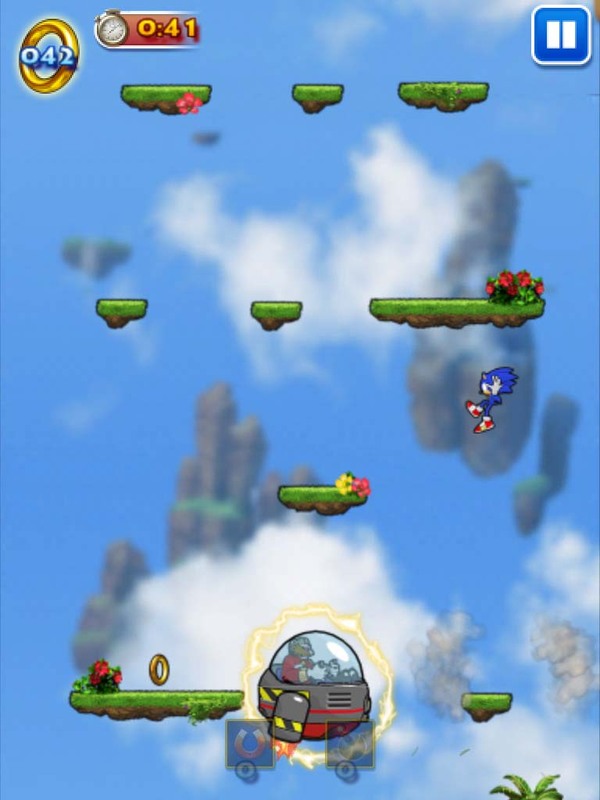 Dull, and yet another way of getting you to use up power-ups and contemplate buying IAPs. Unnecessary and I’ll knock a few points off the total rating just because I find it irritating. 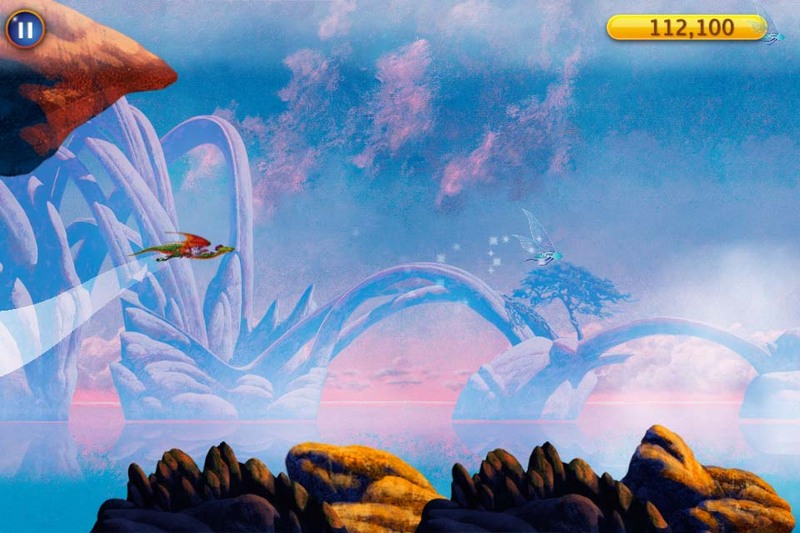 Here’s something that you’re not going to want to miss – an arcade/endless style universal iOS game built around the artwork of Roger Dean. 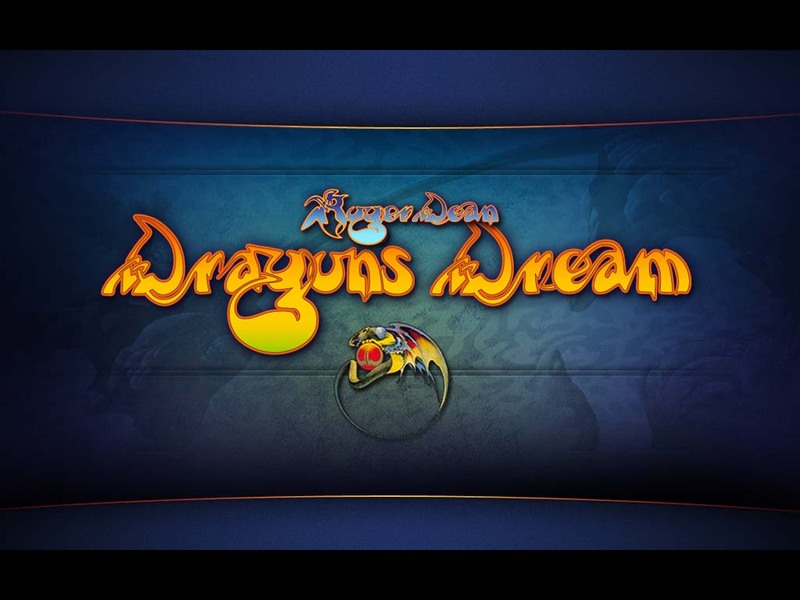 Dragons Dream is going to be released on Sunday 18th November. I’ve been lucky enough to get hold of a promo code and I’ve been playing the game a lot since installing it on my two review devices (1st gen iPad and 4th gen Touch). 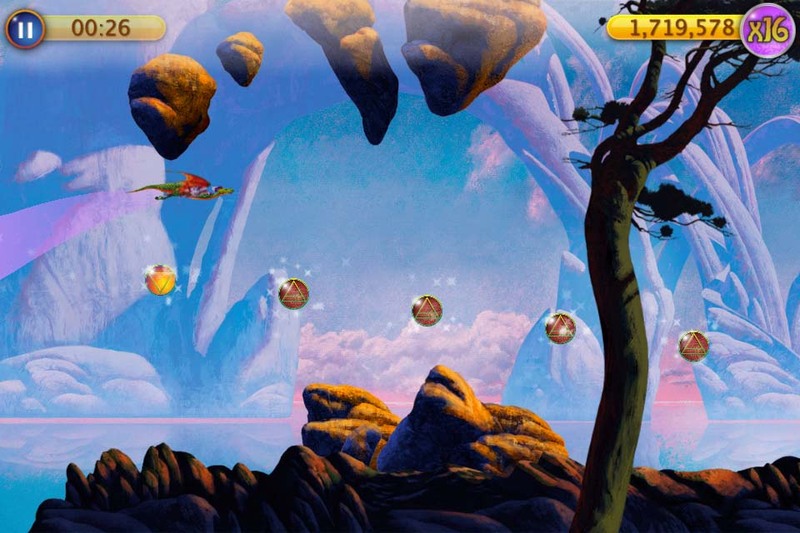 In the game, you control an auto-flying dragon, tapping the screen to make him flap his wings to ascend. 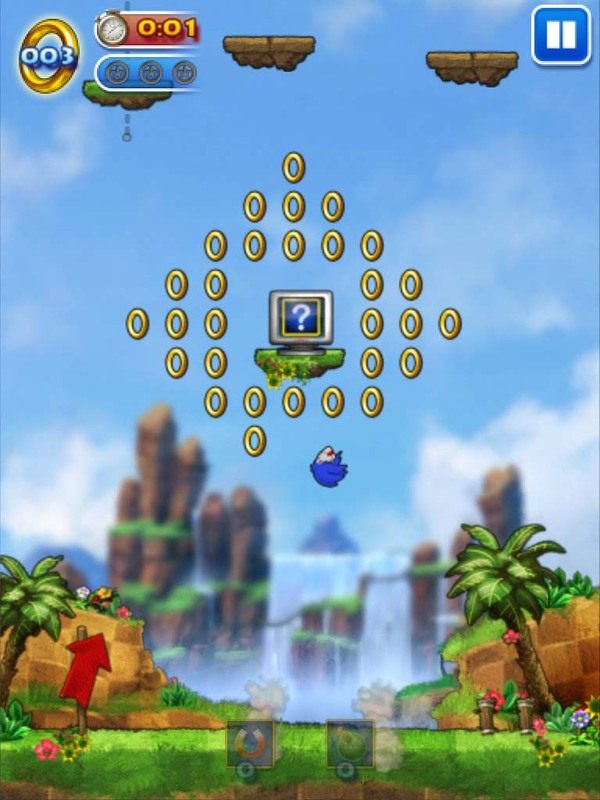 There are two game modes: “Arcade” gives you two minutes to collect as many orbs as possible and crash as few times as possible. 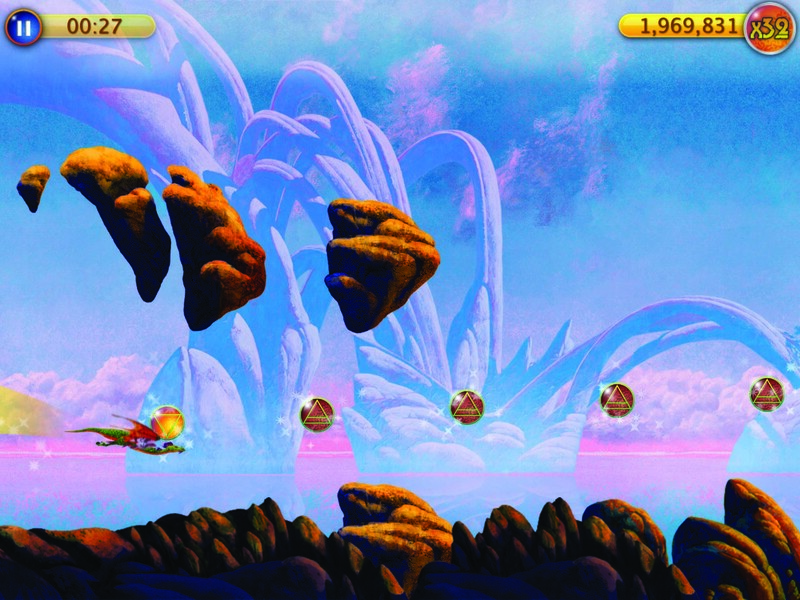 “Free Fly” is basically an endless flight that lasts until you collide with a chunk of floating scenery. 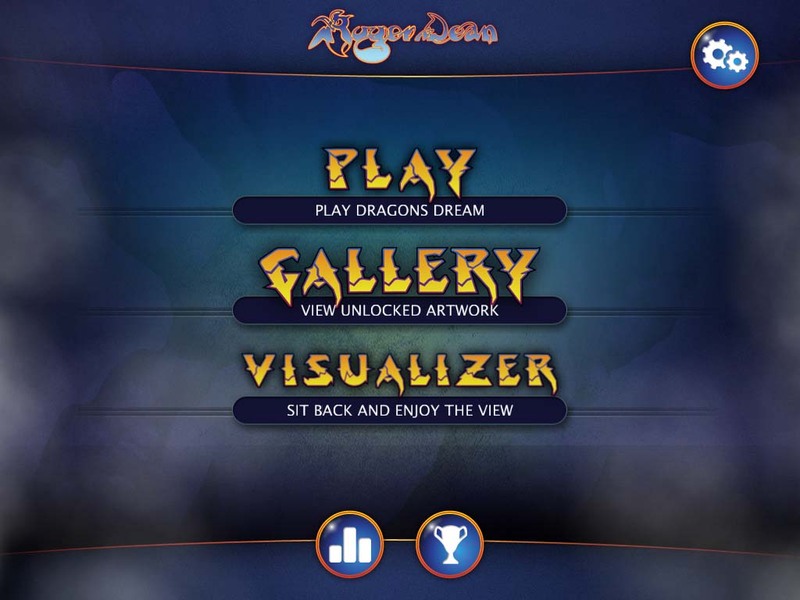 There is also a third mode, “Visualizer”, but this is more of a screensaver than a game, letting you sit back and watch the dragon fly without assistance. The two landscapes are immediately available to play (or watch) and the game has no In App Purchases. I found the game performed well with no issues on my 1st gen iPad and 4th gen Touch. 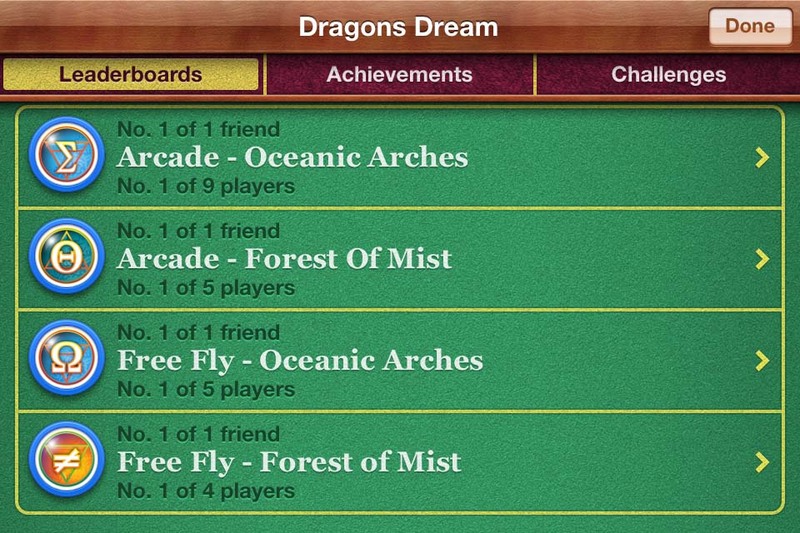 There are Game Center achievements (linked to unlocking artwork within the game) and leaderboards for each game mode within each landscape. 10 word description: Arcade style solar system creation. Random waves. Unlockable modes & themes. 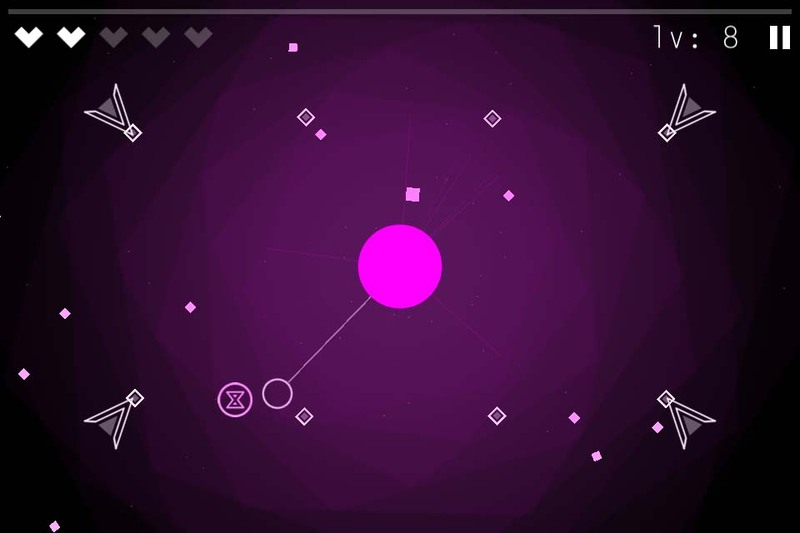 10 word review: Unique, mesmerising skill-based experience designed around flawless controls. Recommended. You will like this if you enjoy: Creating solar systems in a game that looks a tiny bit like Asteroids but is really not like it at all. 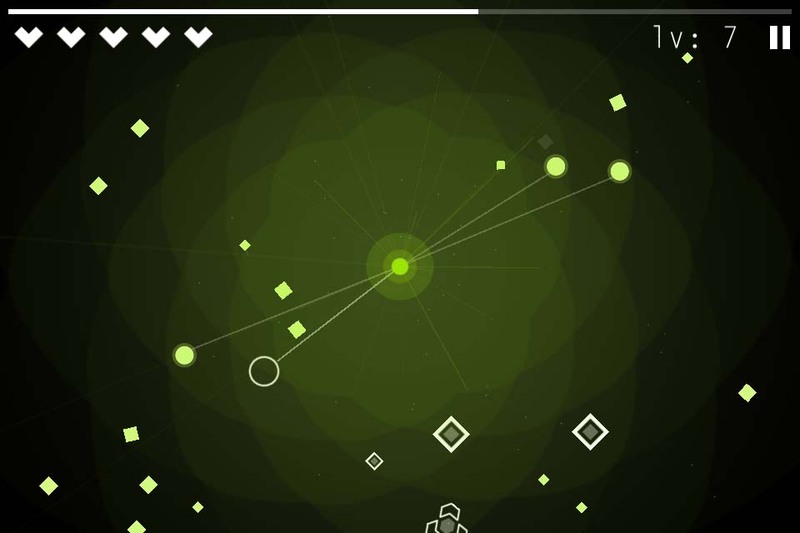 The good news: This game, more than anything, makes a few simple shapes moving against a black background feel like the most epic experience ever. The controls are perfect for a touch screen game. 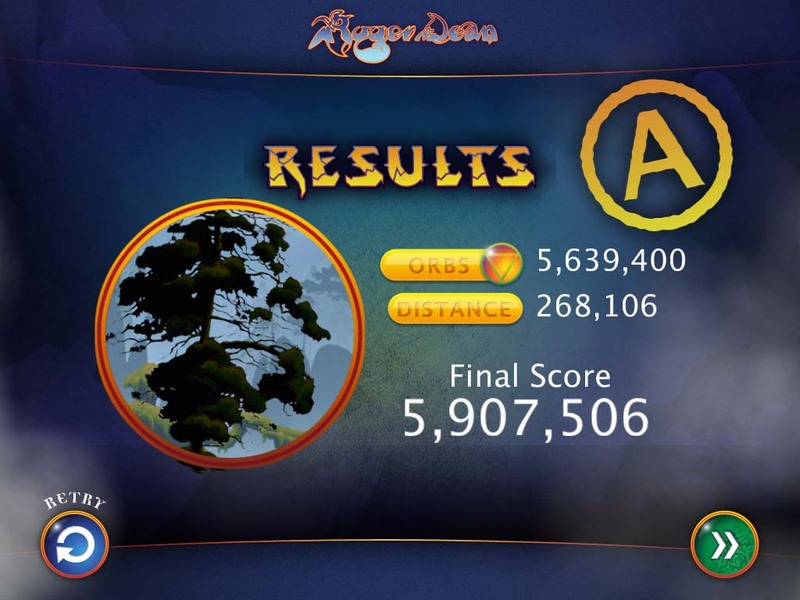 Gameplay precisely balances a steadily building challenge against the certainty that you can do better next time. The scoring system made me cry, then laugh. The bad news: You won’t play this game; not just because you never play the games that I recommend (on principle) but because you prefer pretty games with cute animals and lots of IAPs. Do I care? Not really. 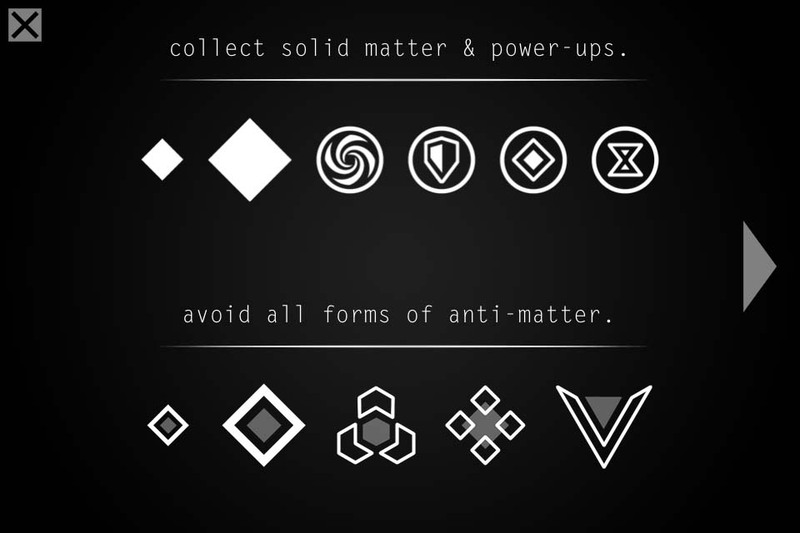 One thing I would change, if it was my game, is the clicky sound effect when collecting matter. That’s a bit of a let-down compared to the rest of the game. I’d also play a distinctive sound when enough matter has been collected to create a planet. Arcadelife verdict: Astonishing. 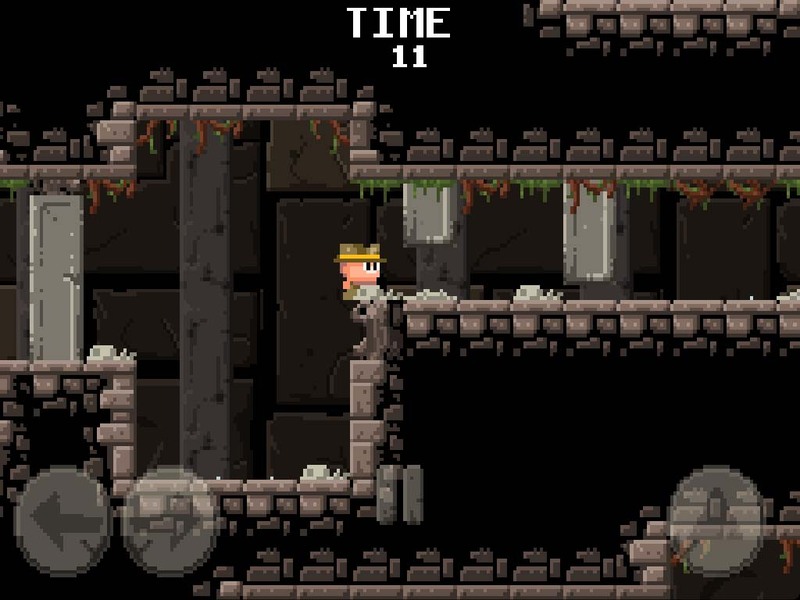 One of the best original iOS games I’ve played in quite a while. I understand a lot of beta tester feedback was taken into account and applied to the finished product, therefore I salute those testers too and not just the developers of this really rather cool game. I’ve had to mark audio down (in the ratings) because, in spite of the nice ambient soundtrack, I don’t like the clicking noise when matter is collected and the sound effects in general don’t seem to have had the same level of care and attention as the rest of the game. None of that affects my recommendation of this game and I have adjusted the final rating to reflect this. A game that has the sheer cheek to reward your best efforts ever with a score of 8 – yes, eight – deserves to be bought by everyone. If you think scoring 8 sounds easy, wait until you try to survive for more than a minute in survival mode. You’ve been warned, that’s all I’m saying. 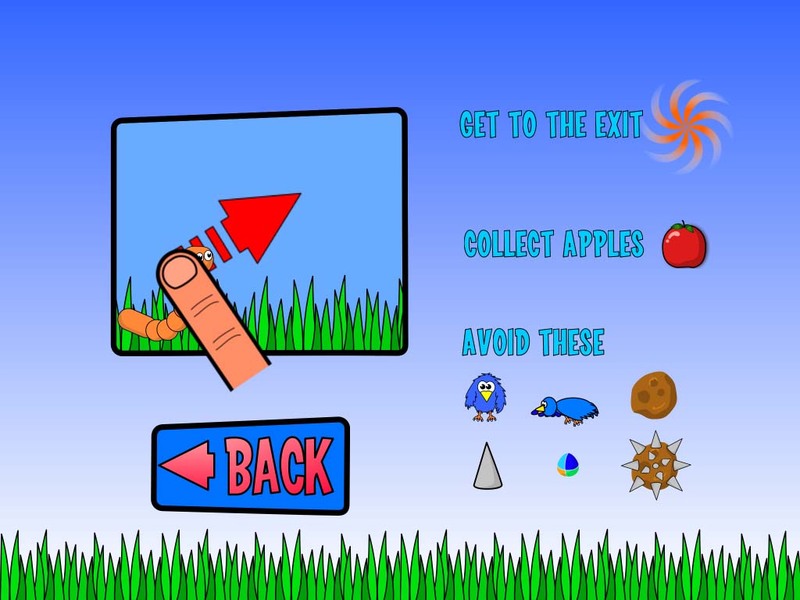 10 word description: Fling worm around 24 levels, collecting apples and avoiding hazards. 10 word review: Quite silly, certainly fun. Challenging objectives and tough later levels. 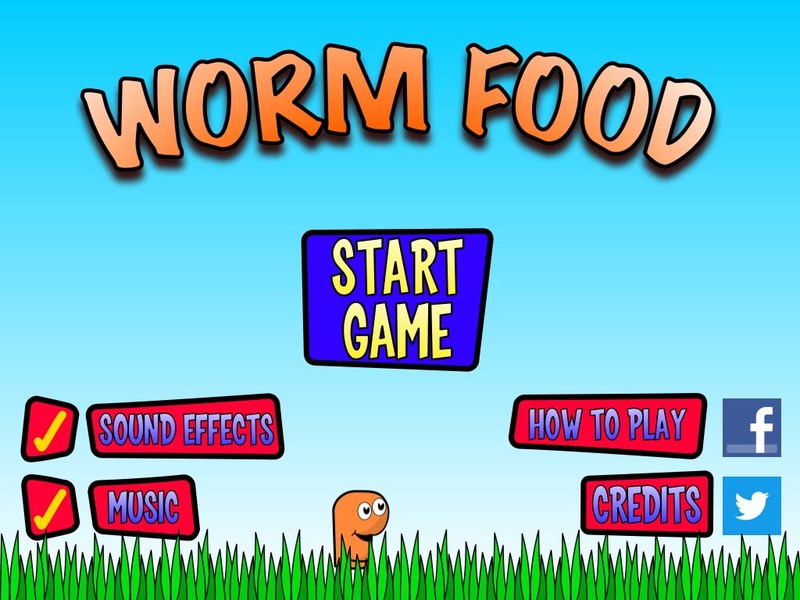 You will like this if you enjoy: Flinging worms about. Oh come on, what did you expect? The good news: It’s an enjoyable game with no IAPs. Tough enough to be a compulsive challenge, particularly if you go after all the stars/objectives. 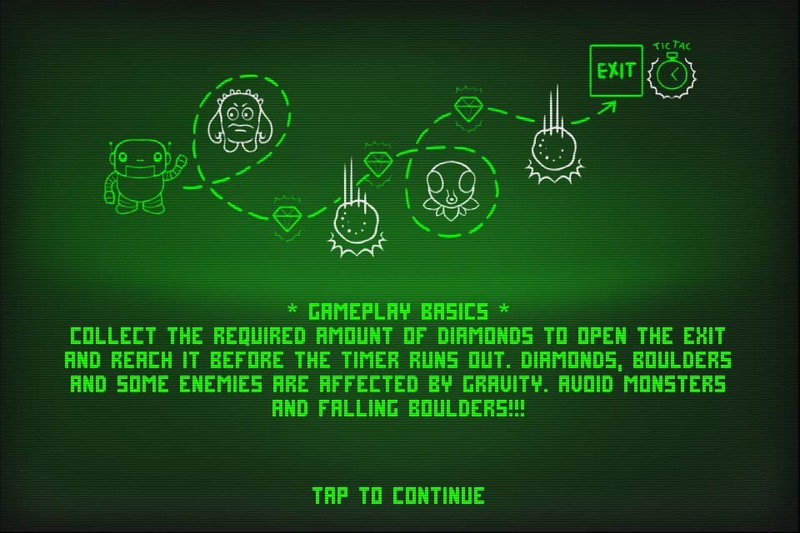 The bad news: Slight problem with levels only unlocking if you go directly to the next level after beating one. The developer is aware and will be releasing an update to sort this out. 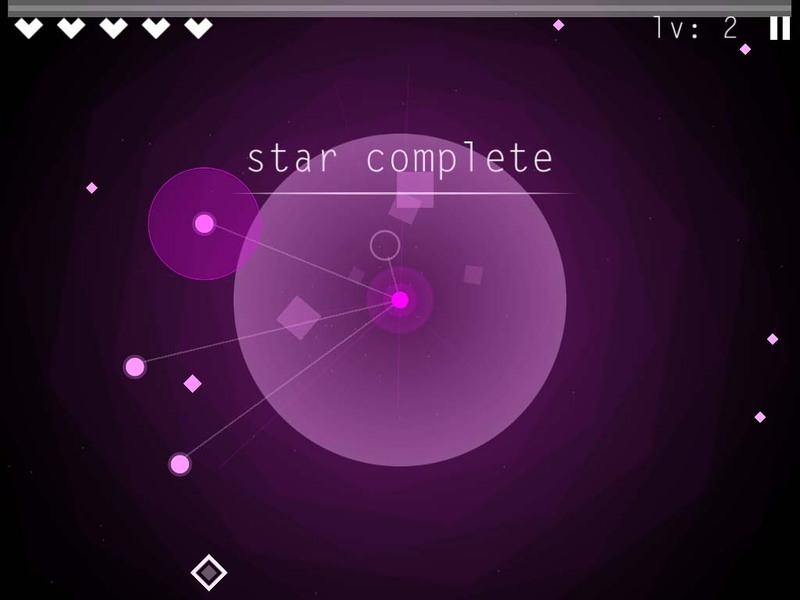 The relatively small number of levels (24) can be completed quite quickly if you don’t bother repeating levels to earn all the stars, although some players may not consider that to be particularly bad news. Arcadelife verdict: More fun than it sounds and probably more fun than I’m making it sound. 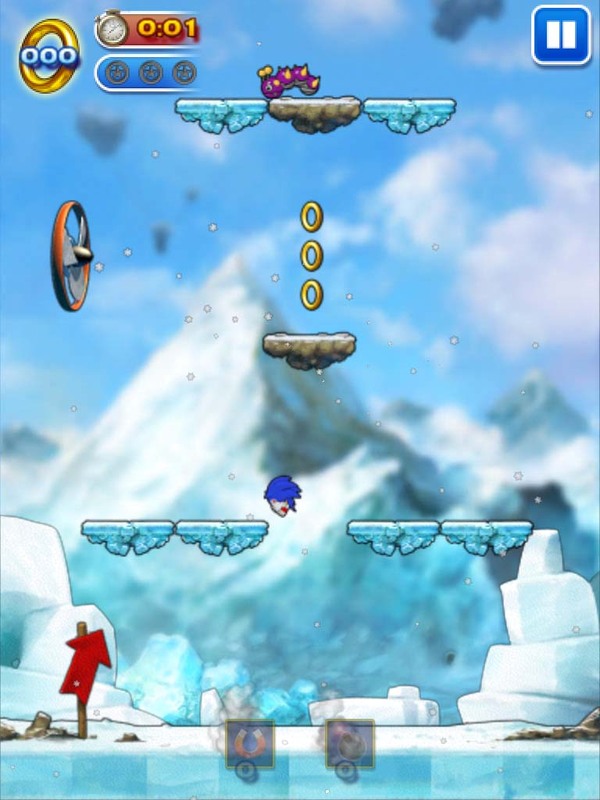 Level completion, particularly if you are trying to achieve all the objectives, generally involves a lot of mid-air flinging which makes the gameplay fairly fast and intense. 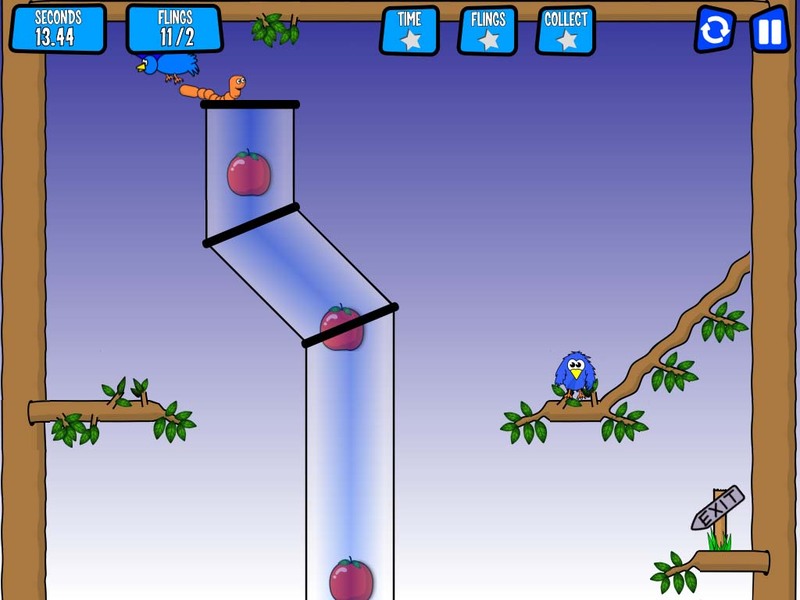 The objectives can be completed in separate runs so, no, you don’t have to collect all the apples at the same time as beating the par time. In most levels, that would not be possible anyway. Overall, the game is a quick burst of simple, entertaining silliness and a departure from the usual gameplay associated with games employing flinging as the control method. It has a few rough edges but they don’t really detract from the fun. I’m looking forward to seeing how this game develops; an adventure style game with larger levels could work really well using this character and game engine… just a thought. You are currently browsing the ArcadeLife : Life vs Video Games blog archives for November, 2012.